Contents: This 45 contained the theme song from the Spanish version of "Battle of the Planets." 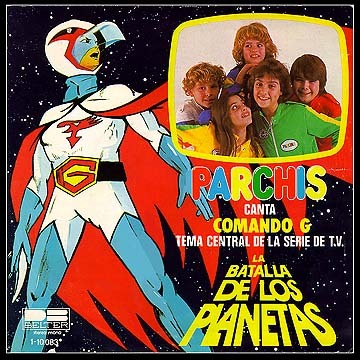 It's still unsure whether or not this was the actual theme, or just a re-recorded version by Parchis. The second side featured a song about Zark and Susan, two robots in love.